Andrew Carnegie, industrialist and philanthropist, was born in 1835. By 1911, he had endowed five organizations in the United States and three in the United Kingdom, and had given away more than $43 million for public library buildings and close to $110 million for other purposes. 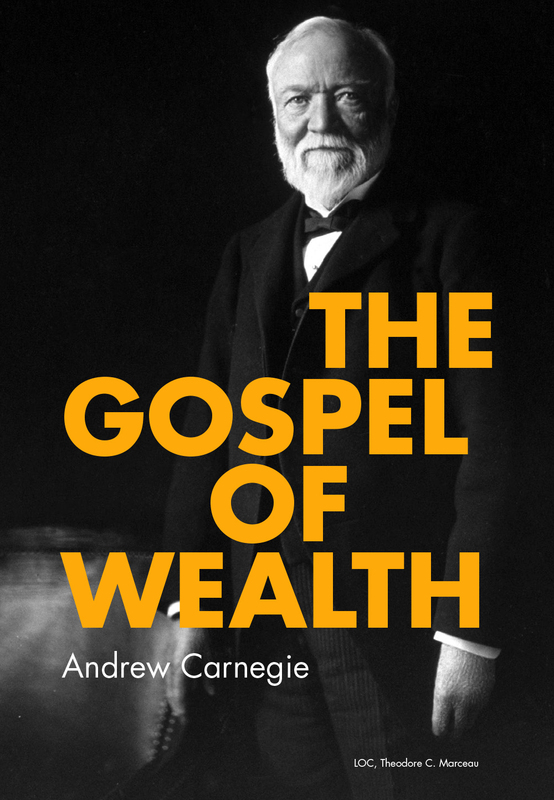 Originally titled simply “Wealth” and published in the North American Review in June 1889, Andrew Carnegie’s essay “The Gospel of Wealth” is considered a foundational document in the field of philanthropy. Carnegie believed in giving wealth away during one’s lifetime, and this essay includes one of his most famous quotes, “The man who dies thus rich dies disgraced.” Carnegie’s message continues to resonate with and inspire leaders and philanthropists around the world. As Carnegie Corporation of New York celebrates Andrew Carnegie's birthday, we invite you to explore this exceptional essay, download it to your favorite reading device and share your thoughts on its relevance today.